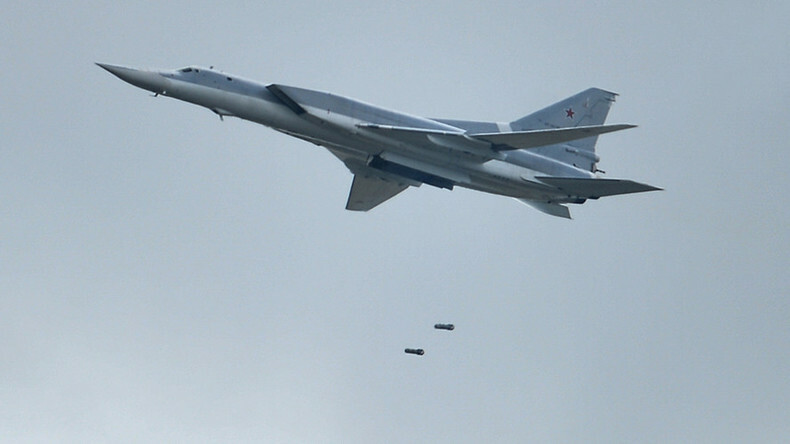 Russian long-range bombers have destroyed two Islamic State command centers, along with weapons and ammunition depots in Syria’s Deir ez-Zor province - the latest in a series of strikes against the jihadists in the area, the Russian Defense Ministry has announced. 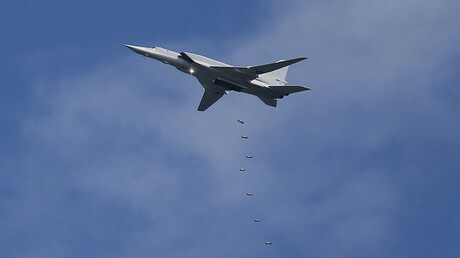 “On January 30, six Tu-22M3 long-range bombers of the Russian Aerospace Forces took off from an airfield located in the territory of the Russian Federation, flew over territories of Iraq and Iran, and carried out an airstrike on ISIS terrorists’ targets in the Deir ez-Zor province of the Syrian Arab Republic,” the Defense Ministry said in a statement. The precision strikes targeted and destroyed two Islamic State (IS, formerly ISIS/ISIL) command centers, weapons and ammunition depots in addition to jihadist manpower, according to the statement. Sukhoi-30SM and Sukhoi-35S fighter jets from the Khmeimim air base provided protection for the Russian bombers. The strikes against the designated targets were confirmed by “impartial monitoring” means. Upon completion of their mission all Russian planes returned to bases safely, the Defense Ministry said. Following the liberation of Aleppo in December, Syrian government forces are now focusing their efforts in expelling terrorists from the city of Deir ez-Zor, that has been under IS control since July 2014. Most of the city and its countryside is under the IS terrorists’ sway, but government troops are still holding out in several neighborhoods in the western part of the city and command the military airport. Deir ez-Zor’s military airport, controlled by elite units from the Syrian Republican Guard, has withstood repeated assaults by IS over the years. Last week, IS extremists encircled the military airfield threatening to capture the last line of defense of the Syrian army. Now the Syrian army and the National Defense Forces (NDF), backed by Russian warplanes, have been focusing on repelling a large-scale attack launched by the terrorists in the oil-rich province. Government forces continued to battle terrorist positions on Monday on the southern outskirts of the city, inflicting massive damage, Sana reports. Besides Russian air power, the Syrian air force has also targeted IS positions in the area. The Province of Deir ez-Zor is of strategic importance for IS because it serves as the backbone of the country’s petroleum extraction industry. The province also links IS terrorist units to the group’s stronghold of Raqqa.